From Billboard - July 15, 1967: The clear, pleasing voice of Jamie, with superior backing from the J. Silvia Singers, make for a pleasant, yet stimulating combination. Jamie's "Secret Love" is a winner in any league. Repertoire in standard, with works of composers such as Loesser, Loewe and Becaud. 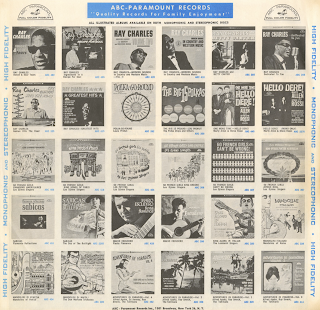 From the back cover: Take three musicians from such separated places as McKees Rocks, Pennsylvania, Omaha, Nebraska and Bannes, Cuba, and you're bound to have a wide variety of tastes and influences. Put them together, giving each one freedom of expression, and you'll have a potpourri of surprises. 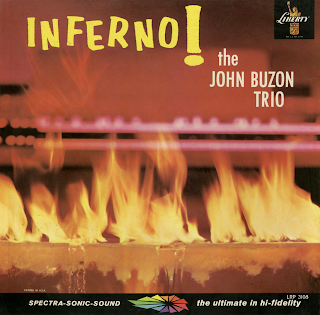 This is the case with the John Buzon Trio, one of the hottest dance combos in Southern California. The group has been playing to capacity audiences for two years at a roadside spot sixty miles east of Los Angeles. Many of the patrons drive that far or farther to try out the latest fancy steps, because they know there isn't a request the group can't fill – from a cha cha to a polka or waltz. 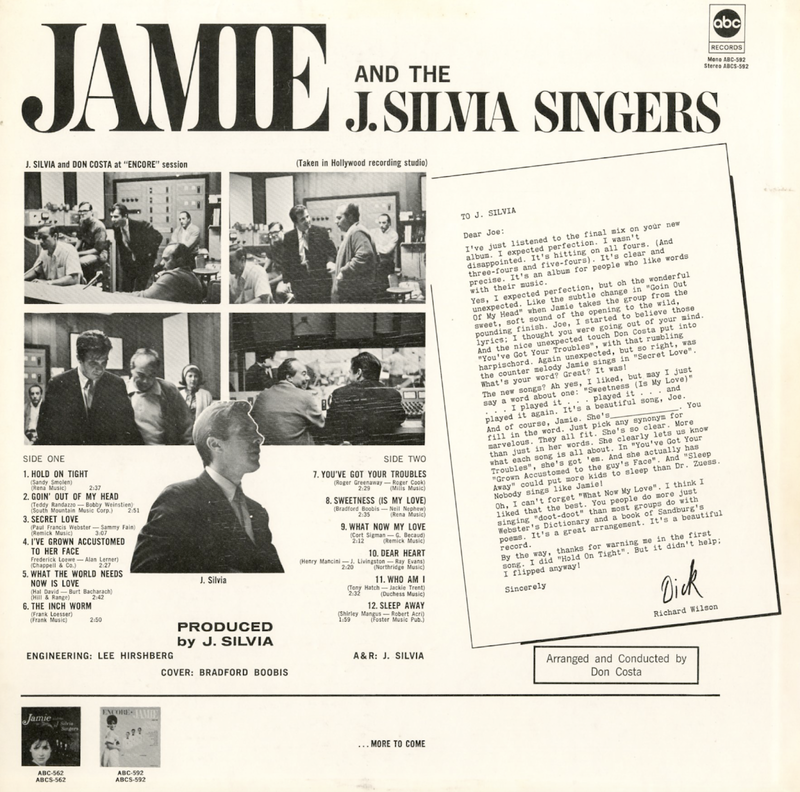 The same gusto and imagination have been brought to this album, their first recording venture. And they know their music – these are "head" arrangements, with the accent on surprise. They have shied away from imitation, but sometimes have borrowed a style from a current hit when adaptable. 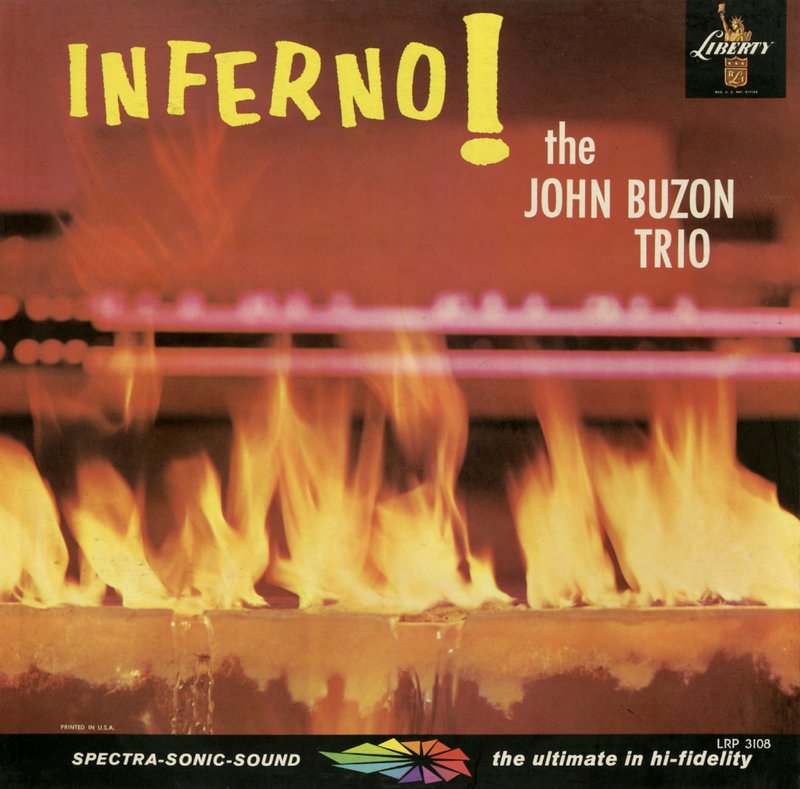 Leader of the group is John Buzon. This talented young organist comes up with some of the most astounding orchestral effects yet produced on the Hammond. Saxophonist Loren Holding, with his Cuban background, is responsible for the Latin America treatment of the great standards. He doubles on clarinet or flute and lends a hand with maracas, aiding drummer Jack Russel to maintain their driving beat on the cha chas and mambos. Neither the boys individually nor the group as a whole consider themselves jazz musicians, but rather swing musicians with a drive. But the fact is they do generate some really great and enthusiastic jazz, both on the torch ballads and the sizzling swingers. 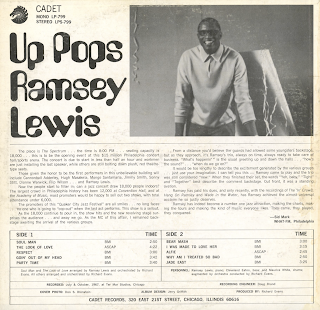 From Billboard - April 27, 1959: As the title implies, this is not the coolest jazz LP. The group is the "cocktail lounge" small combo type. They're at their best when they play it straight, as in "Smoke Rings" and drop the tricky organ effects. These, however, have interest in stereo with glissando passages that seem to run across the room from one speaker to the other. The stereo separation is artificial with the organ on the right, sax on the left and drums square in the center. Available from online vendors so I will not be posting a sample. Presented here to share the cover art and jacket notes excerpt. From the back cover: To fall back on trite phraseology, Sheldon Bennett can be classed as a guitarist's guitarist. His amazing technique has already fascinated many of the top string artists in the country. 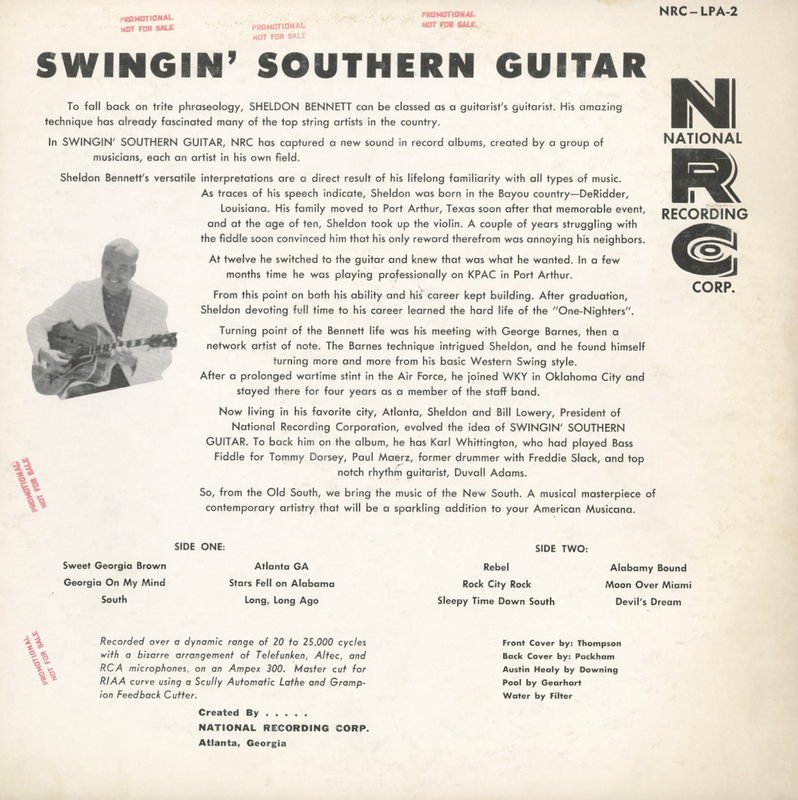 In Swingin' Southern Guitar, NRC has captured a new sound in the record albums, created by a group of musicians, each an artist in his own field. Sheldon Bennett's versatile interpretations are a direct result of his lifelong familiarity with all types of music. As traces of his speech indicate, Sheldon was born in the Bayou country– DeRidder, Louisiana. His family moved to Port Arthur, Texas soon after that memorable event, and at the age of ten, Sheldon took up the violin. A couple of years struggling with the fiddle soon convinced him that his only reward therefrom was annoying his neighbors. At twelve he switched to the guitar and knew that was what he wanted. In a few months time he was playing professionally on KPAC in Port Arthur. From this point on both his ability and his career kept building. After graduation, Sheldon devoting full time to his career learned the hard life of the "One-Nighter". After a prolonged wartime stint in the Air Force, he joined WKY in Oklahoma City and stayed there for four years as a member of the staff band. 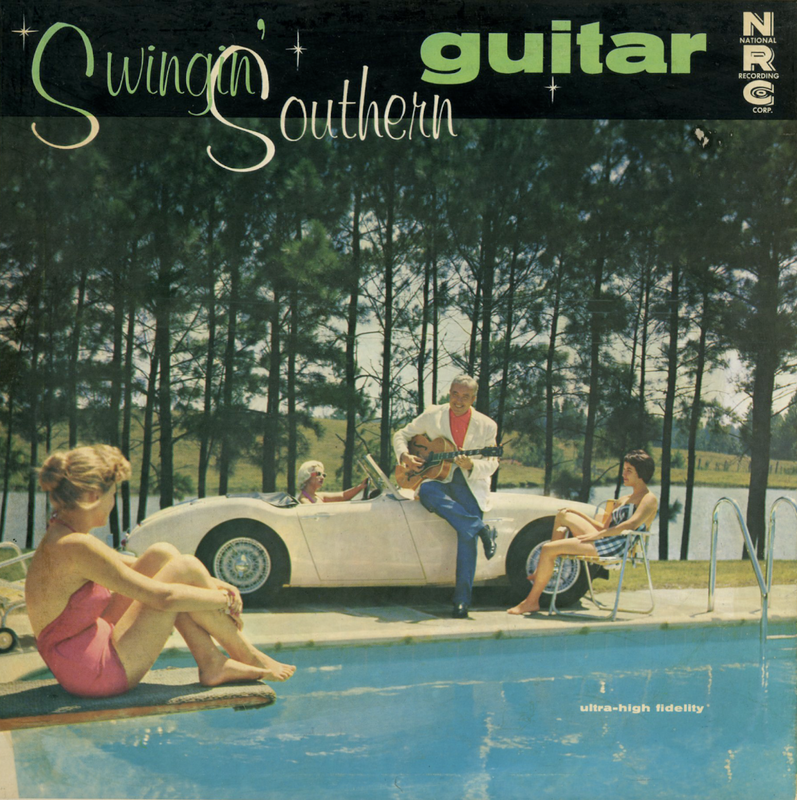 Now living in his favorite city, Atlanta, Sheldon and Bill Lowery, President of National Recording Corporation, evolved the idea of Swingin' Southern Guitar. To back him on the album, he has Karl Whittington, who had played Bass Fiddle for Tommy Dorsey, Paul Maerz, former drummer with Freddie Slack, and top notch rhythm guitarist, Duvall Adams. 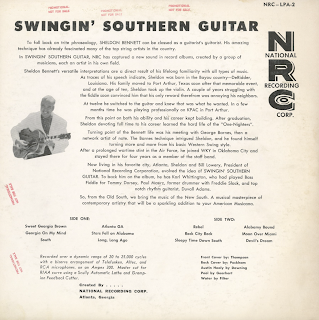 From Billboard - December 15, 1958: Sheldon Bennett has a pleasant style of easy improvisation on guitar with these tunes, which comprise for the most part, familiar melodies. Working with rhythm support, he offers "Sleepy Time Down South," "Alabamy Bound," "Moon Over Miami," etc. Listenable wax from a talented cat. Note: Meldonian plays clarinet in Lechery; Collins in Anger and Glasel in Pride solo using Harmon mute. Available from online vendors so I will not be posting a sample. Presented here to share the original cover art and jacket notes excerpt. 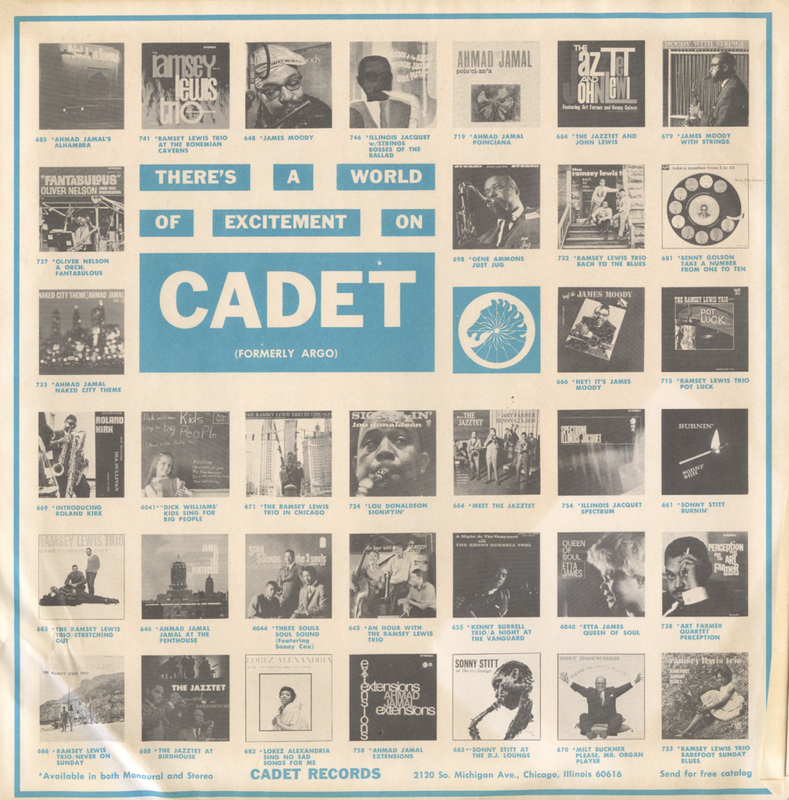 From the back cover: In defining the motivation of his present orchestra, Bill Russo termed it "an affirmation of the world and an aspiration toward the good life." Such a definition of intention is comparably valid when applied to Russo, the composer. Identifying him as a composer is, in itself, intended to distinguish him from the songsmiths of the Brill Building, the petty riff-makers of jazz and the nihilists and obscurantists of modern classical music. As a serious composer, Russo is concerned with art and it is this concern that makes his work both demanding and rewarding on a scale that dwarfs that of most of his contemporaries. At the age of 32 he has achieved considerable distinction. His career in music has been varied as the works he has composed. Born on Chicago's north side in 1928, he attended three grade schools, studied piano at age 5 and clarinet at 10. Despite this early training, his interest in music was mild, until he entered Senn High School. He played trumpet, tuba and trombone in the school band; he discovered jazz. With classmate Lee Konitz as added inspiration, he directed his efforts toward music and, as he was to realize a few years later, away from scholarship. During the summers he worked with various name bands. While at Senn he (and Konitz) studied with pianist-composer Lennie Tristan. In later years he studied with Dr. John Becker (a colleague of Charles Ives, Wallingford Reigner and others), then composer in residence at Barat College. 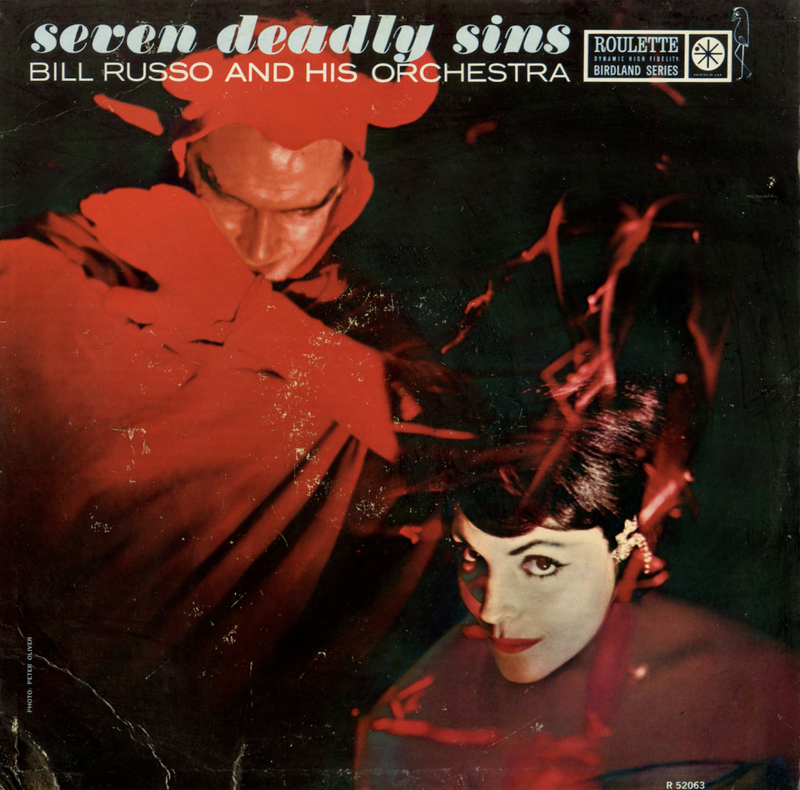 In 1947, Russo formed a rehearsal band for the exploration of various roads of jazz experimentation. For two years, the band performed in concert in the Chicago area; it recorded two 78s for the now-defunct Universal Label. During these years, Russo studied at DePaul University, Roosevelt College (now University) and the University of Illinois. In 1950, he joined the Stan Kenton band as trombonist and composer. Between '50 and '54, he was a vital member of the Kenton crew, contributing a vast number of compositions and arrangements to the Kenton Library (many of the Russo arrangements, uncredited, have been recorded by Kenton). In '54, weary of the road routine, he returned to Chicago, making his original home his base of operations. In 1955 he taught in London and performed in Germany as soloist and composer with the Kurt Edelhagen orchestra and the Hans Koller quintet. While abroad he composed The English Suite for British orchestra leader Ted Heath; it is a four-section concert work for jazz orchestra. In '55, too, he returned to Roosevelt to obtain his degree in English. In 1957, Russo moved to New York, to compose and conduct. Since that time, he has been extremely active. He completed Symphony No. 2 In C, Titans, in November, 1958 (his first symphony was completed in June 1957); in mid-April, 1959; it was performed by the New York Philharmonic, conducted by Leonard Bernstein. The work was awarded a Koussevitsky Foundation grant, one of approximately 40 such grants made in the last ten years. 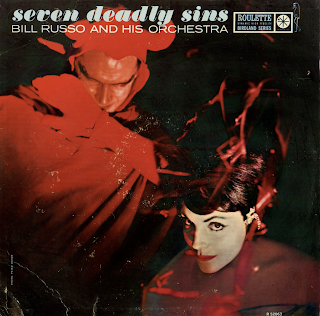 Early in 1960, Russo formed his own orchestra, dedicated to "the excitement of the intellect." 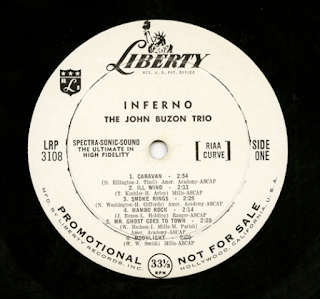 It performed in concert at Birdland in New York and its unique sound is vividly captured in its initial Roulette LP, School Of Rebellion. Russo has taught composition, orchestration, brass, instruments, arranging, theory and improvisation since 1947. He has written a text, composing For The Jazz Orchestra (published by the University of Chicago Press in 1961), the first of three volumes on the subject he plans to write. He has lectured on music and art at many universities; he conducted a course – The Anatomy Of Jazz – at the University of Chicago; it was a credit course in the Humanities department. He has authored articles on jazz for several leading publications. He was named Musician Of The Year in 1957 by Metronome Magazine. At the present time, he's a member of the faculty and board of directors of the School of Jazz in Lenox, Mass., and an instructor at the Manhattan School of Music. His compositions include two ballet scores: The World Of Alcina and Les Deux Errants. The latter, written for the Festival Ballet Company (the London group headed by Anton Dolin), was debuted in Monte Carlo in 1956, with choreography by Wolfgang Brunner, decor by Dan Snyder. Russo's Music For Alto Saxophone And Strings and An Image Of Man have been recorded by Konitz. His interests are broad in scope. They encompass literature and philosophy, the work of Tolstoy, Dostoyevsky, John Donne, Thomas Hardy, Wordsworth, Dickens, the thought of Plato and the profound theories of the late Elijah Jordan. He is fond of the dramas of Arthur Miller, but prefers films to the "psychoanalytic theatre in New York." He drinks brandy and Pernod (with ginger ale). He admires Brooks Brothers clothes and evening dress. He listens to the music of Bach, Scarlatti, Mozart, Prokofiev and Hindemith. 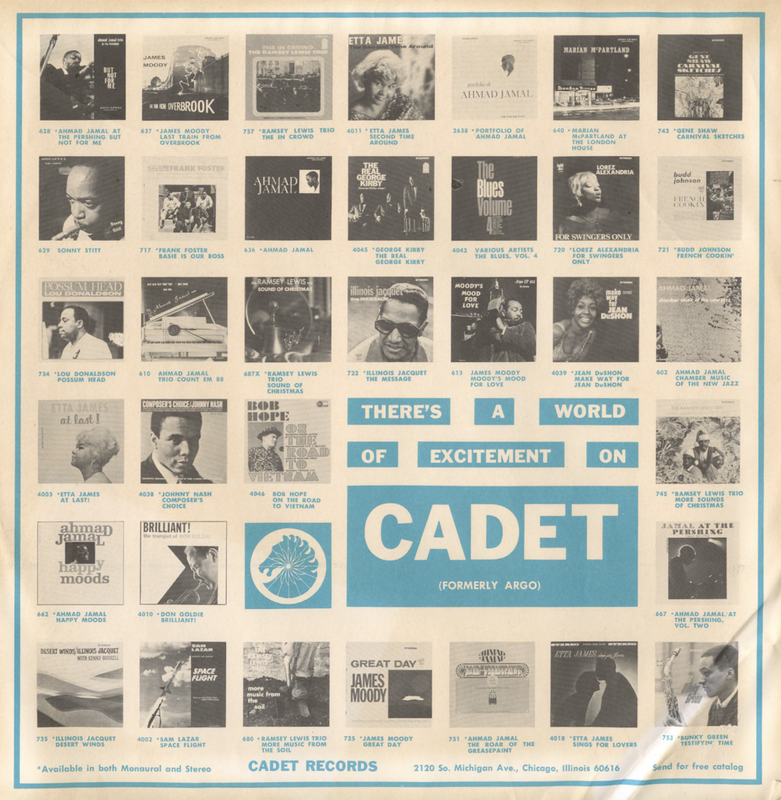 From the inside cover: The trail of musical triumphs in Europe in 1972 began in Copenhagen, Denmark, on January 12th at the Tivoli, and led through Sweden, Germany, Austria, Hungary, Spain, Italy, Switzerland, Holland and France, terminating in England. Many television and radio tapings were recorded during this tour, and will be made available at later dates to the airways. The most recent was an excellent BBC recording for colour television on the 9th February. Many concerts stand out as exceptional – Teatro La Fenice, Venice – Victoria Hall, Geneva – Concertgebouw, Amsterdam – but above all, the enthusiasm and ecstatic response in the English concerts must attend as a monumental achievement on the tour. From Nottingham to Wakefield, to London, Southport, Bristol and Farnworth, the reaction to the new Kenton was spontaneous and infectious. From the opening number, usually "We Almost Made It This Time," to the closing "God Save The Queen," the orchestra and the audience were merged in a musical experience which was fascinating and thrilling to witness. An especially high point was reached in Croydon's Fairfield Hall, where the entire concert was recorded "live" by London Records for release as a two-record set in the very near future. 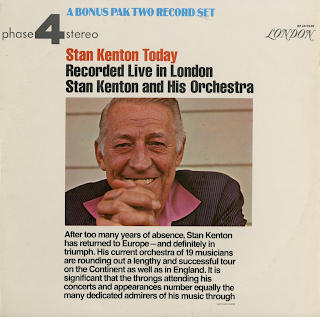 In some respect, these records will be a history in brief of the musical achievements of the Kenton Orchestra, including "Opus In Pastels," "Artistry In Percussion," "Intermission Riff," "Peanut Vendor" spanning the years to the current compositions such as "Malaga" "Chiapas," "Walk Softly" and "Bogota." 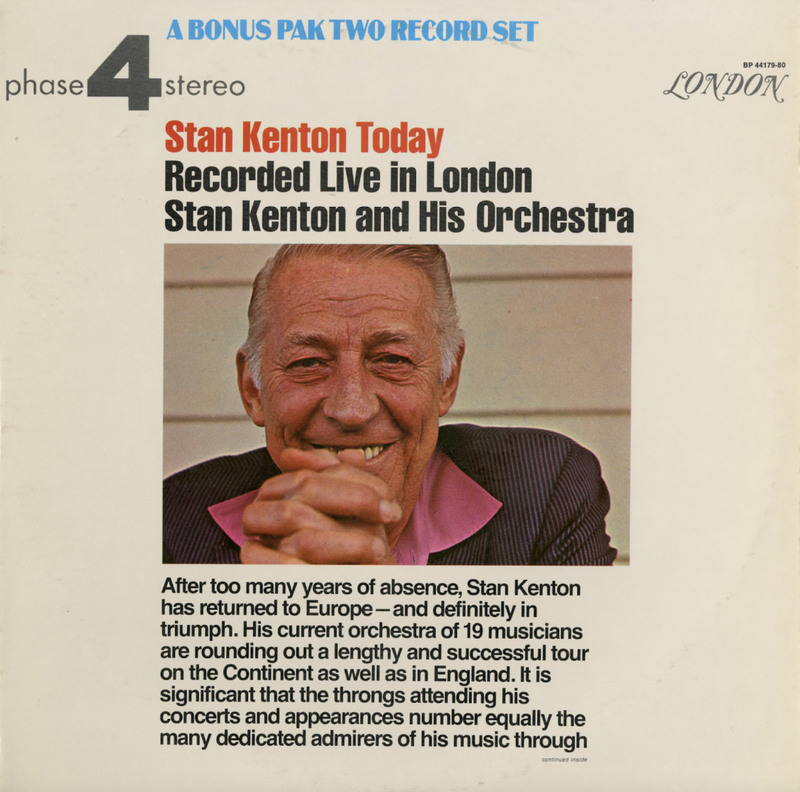 From Billboard - June 10, 1972: Kenton's recent and triumphant concert tour of Europe featuring his current nineteen-piece band of two years was climaxed and given an exceptional record treatment in this two-record set in live performance in London. Band displays new fire, excitement and freshness in "What Are You Doing The Rest Of Your Life," "Malaguena," "Artistry In Rhythm" and Johnny Richards' "Walk Softly," to name a few. 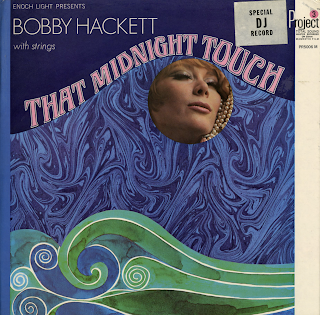 From the back cover: To record Bobby Hackett and his cornet for the first time – as her really is. The emphasis is upon the melody. Bobby Hackett plays the cornet, that smaller, more mellow, more nimble relative of the trumpet (of which he is also a master) which, since classical times, has been a melody instrument. Then: a musical program consisting of some of the finest melodies ever written by such giants as George Gershwin, Duke Ellington, Kurt Weill and Victor Young, among others. As a special bonus, Bobby Hackett in collaboration with arranger Lew Davies, has selected a few of the more unhackneyed tunes by these gifted composers, leading us into fresh melodic adventures, complementing – and complimenting – the stylings of Bobby Hackett. From Billboard - May 20, 1967: Bobby Hackett switches his trumpet for a cornet, and plays with a string background. The result is a smooth melodic album with some punch. Marterial is familiar – "My Foolish Heart," "Laura," "September Song" and "Stars In My Eyes." The effect is with soothing and exciting. From the back cover: It is said that in New Orleans earlier in this century, bands would roll down the streets of that city in horse-drawn wagons. And that it was not uncommon for two rival organizations to meet on a street, lock the wheels of their respective vehicles together, and see who could force a surrender. This album has that premise – put two bands side by side in a recording studio and let them lock wheels. The groups were carefully selected. It was learned that a number of jazzmen who had a good deal to do with a couple of days. Jimmy McPartland, Bud Freeman, Pee Wee Russell and George Wettling were coming in for a concert. Men like Art Hodes, George Brunis and Floyd Bean were in permanent residence. McPartland headed one of the contingents, with Freeman, Wettling and Bean included. 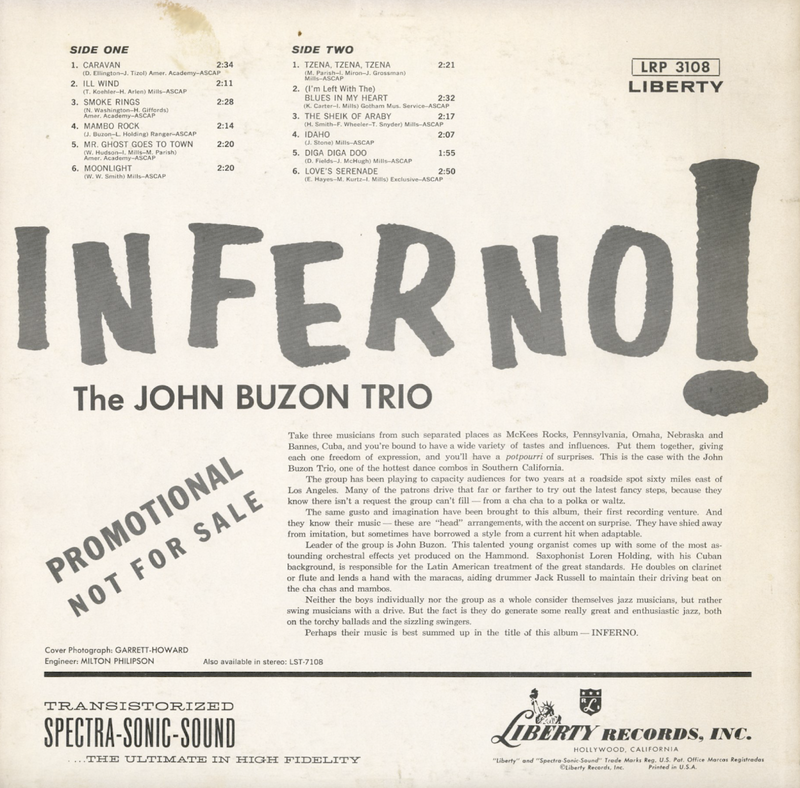 The group was filled out by trombonist Vic Dickinson, also briefly in town, clarinetist Jack Maheu, whose considerable experience with the Dukes Of Dixieland should not be held against him, and bassist John Frigo, a gifted musician who fits snugly into any musical milieu. Pianist Hodes led the other group and thus for the first time in a long and distinguished recording career got to work in a studio with Pee Wee Russell. The brash trombone of Brunis and the Spanier-like trumpet of Nap Trottier rounded out the front line. Veteran Earl Murphy was on bass and the swinging Buddy Smith at the drums. 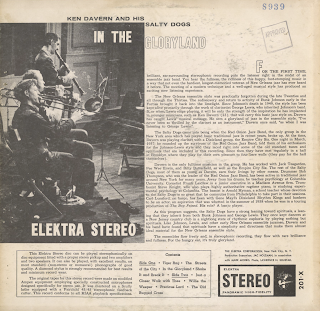 And though this was conceived primarily as a stereo recording, with the McPartland band at the left and Hodes' group at the right, so distinctly different a sound an attack do the two bands get, you should have no trouble in recognizing who's who should you listen to the monaural version. 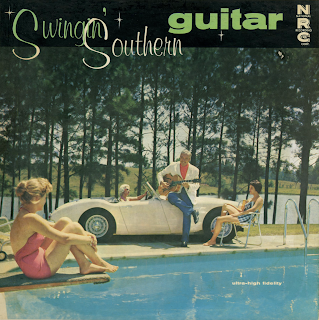 From Billboard - September 19, 1960: Dixieland fans will find this collection a gas. 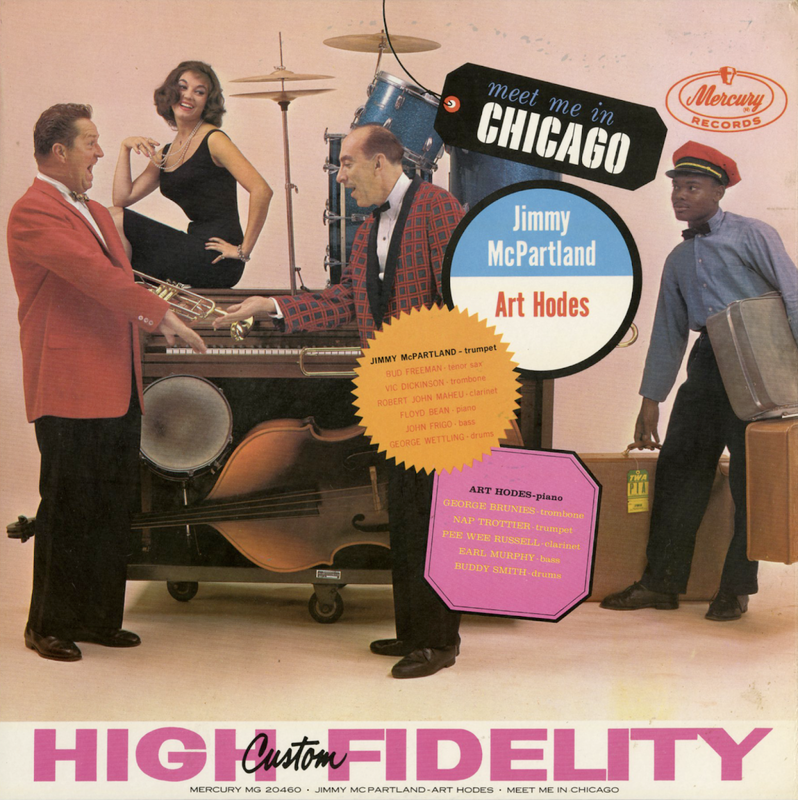 Some of the top practitioners of the art are divided into two groups, headed respectively by trumpeter Jimmy McPartland and pianist Art Hodes. Stereo permits the two groups to play off against each other as well as in unison, with splendid solos by Bud Freeman's sax, Vic Dickenson's trombone, George Wettling's drums, Pee Wee Russell's clarinet and George Burnis' trombone, among others. These fine veterans are in great form, and the disk really jumps. 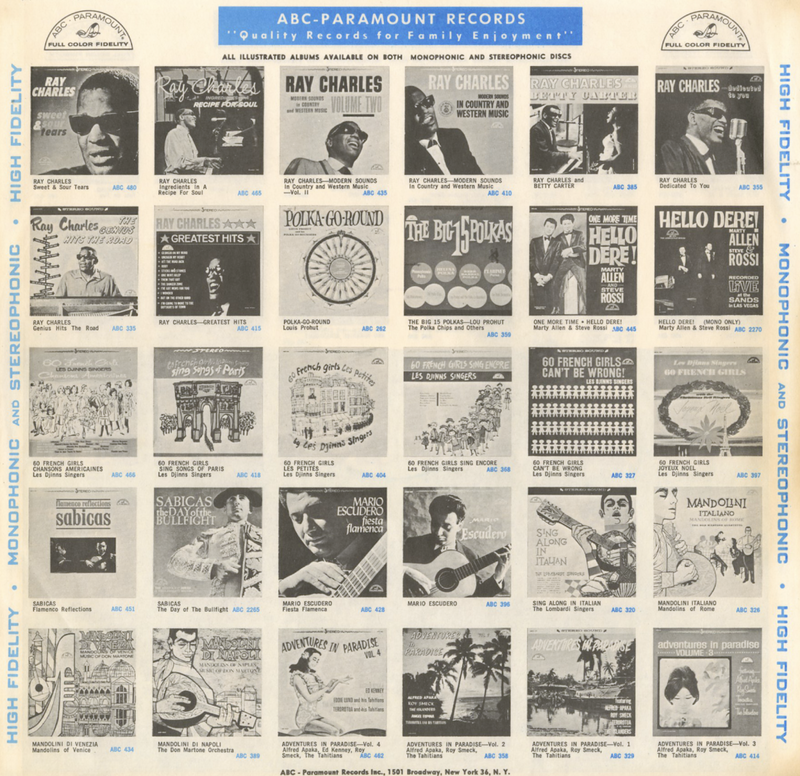 From the back cover: Jazz is a feeling rather than statement. An unmistakeable feeling of self expression, of independence, of the individual speaking and living in harmony with his fellow men. This is a feeling which can be communicated. Jazz appreciation is not limited to social or economic groups. Jazz is for everybody, for everyone who will listen. The scope of jazz has widened as it has spontaneously developed contrapuntal melodies. Jazz has an important story to tell; as such innovators as John Lewis, Charlie Parker, Thelonious Monk and John "Dizzy" Gillespie have given to its telling – a structure, an intellectual appeal rivaling its emotional impact. Their contributions have made jazz a rich and fertile music, exciting, alive and stimulating, to the mind as well as to the heart. The contributions to jazz did not stop with the aforementioned, but you will find it to be ever increasing. Young men and women are improvising, drawing from many sources, blending and putting into jazz something that was not there before... but never losing the source, the blues. His studies started at the tender age of six. He continued to equip himself at De Paul University where he also became a student of the classics and thus the leader of the Ramsey Lewis Trio was born. This trio (and I might add, is the most popular in the country today) consists of bass and cello player extraordinary, Eldee Young, who is also from Chicago. The brilliant drummer, from Rosedale, Mississippi, raised in Chicago, is Issac "Red" Holt. Three of the most brilliant minds ever applied to jazz. 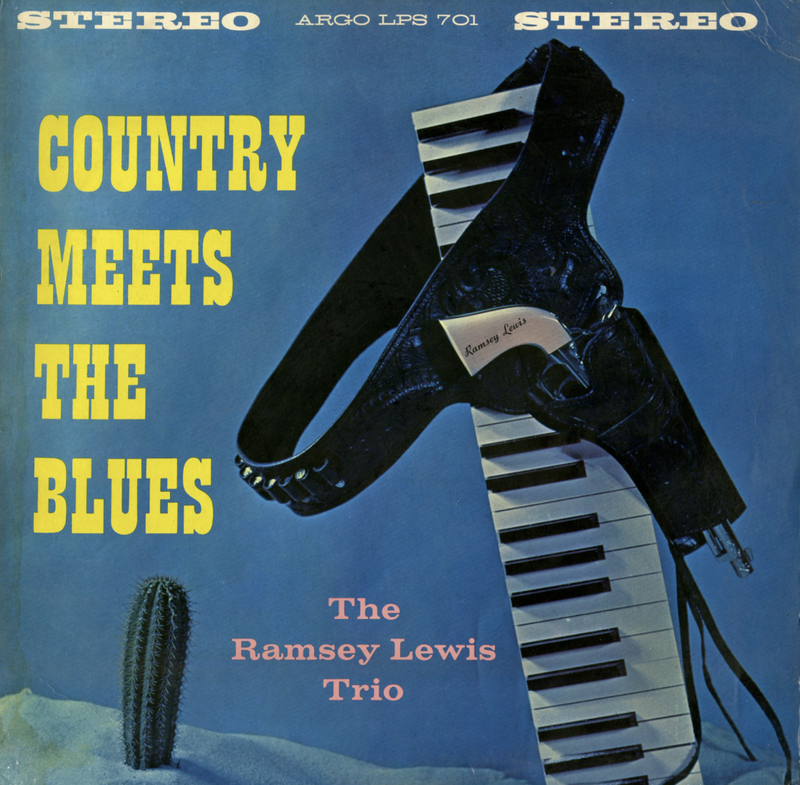 The Ramsey Lewis Trio find themselves in a setting not familiar to some but one which find the group right at home, with the blues – and a little country feeling added for flavor. Here, Ramsey has the assistance of strings and voices, under the leadership of Lew Douglas, and a very unique brass section lead by none other than Oliver Nelson. The "treatments" you will find to be indescribably beautiful. String and voices may lead you to believe that the group doesn't swing... quite the contrary... Ramsey is in full charge all the wall and SWINGS. The group swings extra hard on "My Bucket's Got A Hole In It", making for smooth dancing and very commercial. Another highlight of the set is the trio's confession of "I Just Want To Make Love To You". The trio is into a great groove with Eldee on Cello and out front all the way. 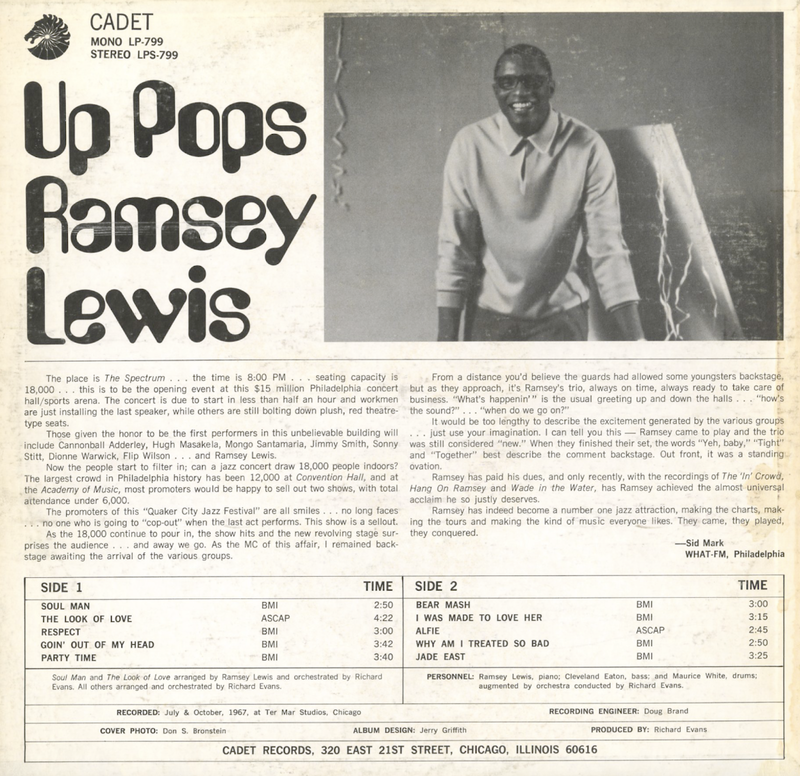 From Billboard - September 22, 1962: Ramsey Lewis has a set here that should get him considerable pop as well as jazz recognition. The album is a tasteful potpourri of country, blues and standard tunes that are done with ork, strings and voices. 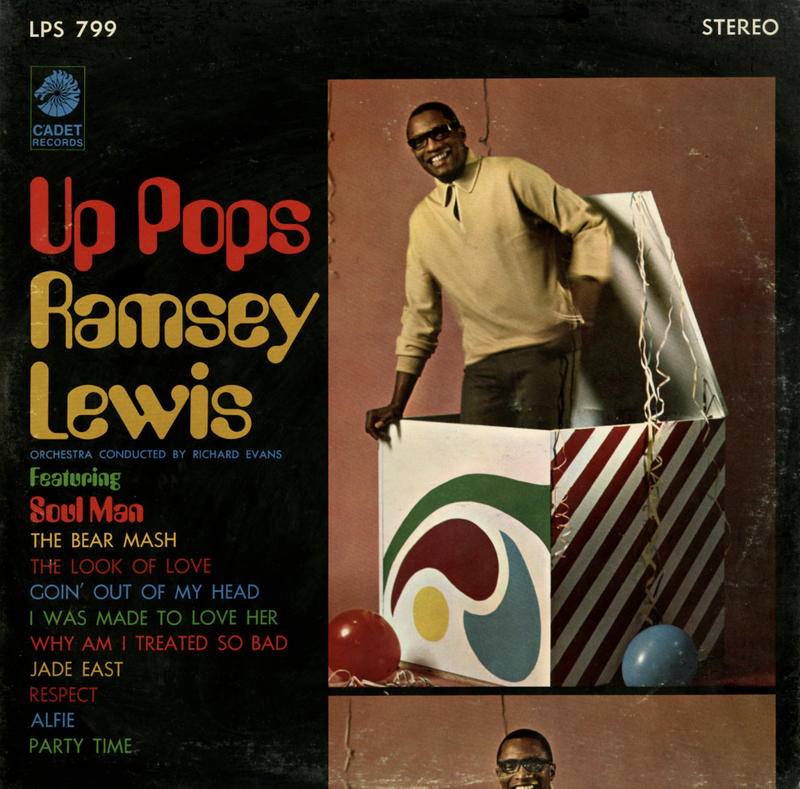 Lewis' piano is featured and the set is nicely paced in ballad and medium tempo swing. "Your Cheatin' Heart," "High Noon" and "Blueberry Hill" are outstanding tracks. 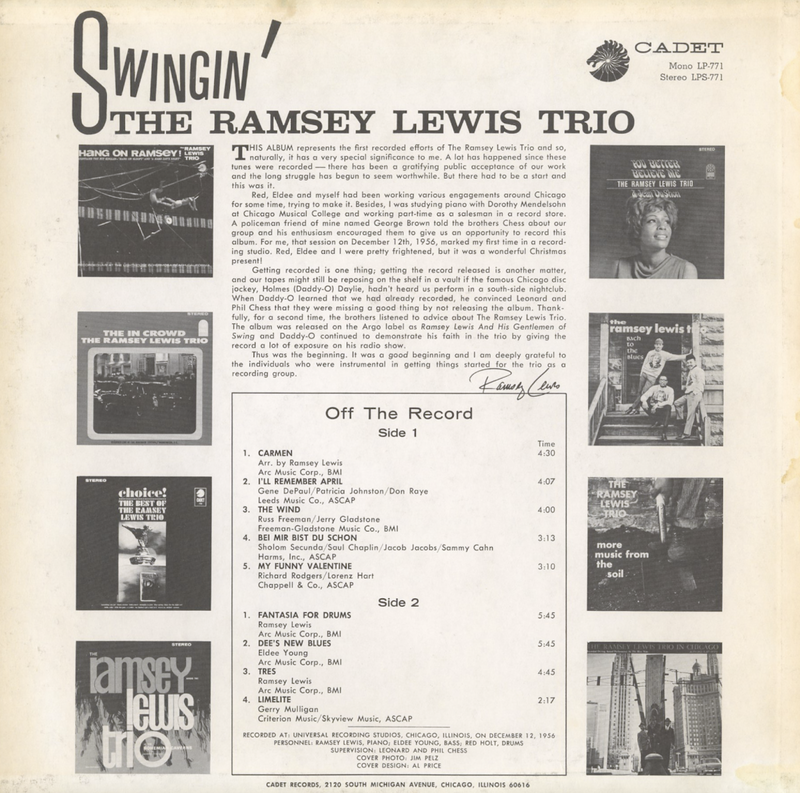 From the back cover: This album represents the first recorded effort of The Ramsey Lewis Trio and so, naturally, it has a very significance to me. A lot has happened since these tunes were recorded – there has been a gratifying public acceptance of our work and the long struggle has begun to seem worthwhile. But there had to be a start and this was it. Red, Eldee and myself had been working various engagements around Chicago for some time, trying to make it. Besides, I was studying piano with Dorothy Mendelsohn at Chicago Musical College and working part-time as a salesman in a record store. 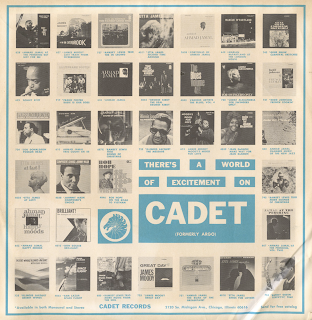 A policeman friend of mine named George Brown told the brothers Chess about our group and his enthusiasm encouraged them to give us an opportunity to record this album. For me, that session on December 12th, 1956, marked my first time in a recording studio. Red, Eldee and I were pretty frightened, but it was a wonderful Christmas present! Getting recorded is one thing; getting the record released is another matter, and our hopes might still be reposing on the shelf in a vault if the famous Chicago disc jockey, Holmes (Daddy-O) Daylie, hadn't heard us perform in a south-side nightclub. When Daddy-O learned that we had already recorded, he convinced Leonard and Phil Chess that they were missing a good thing by not releasing the album. 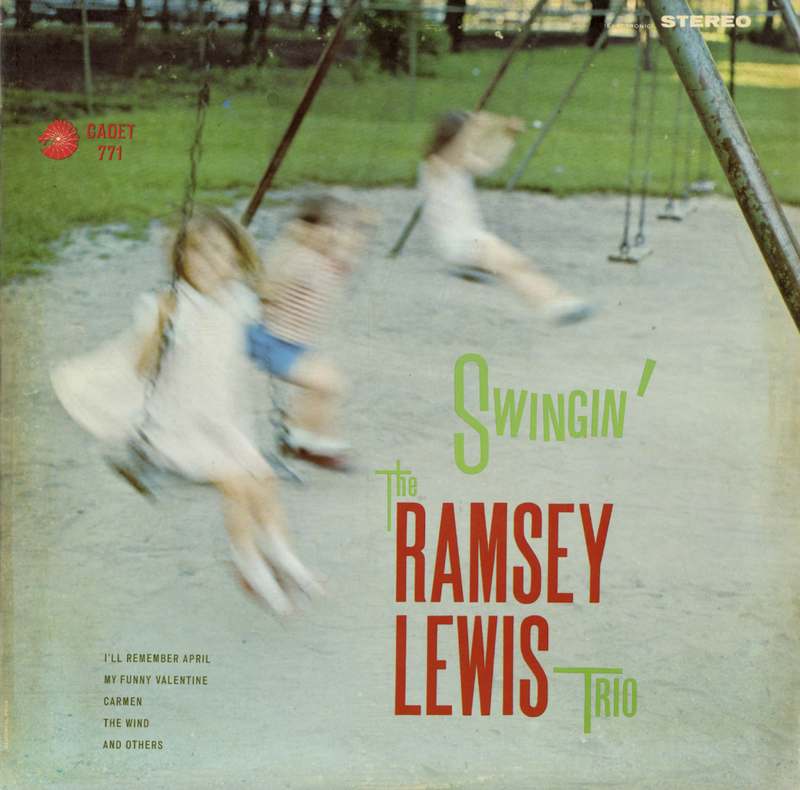 Thankfully, for a second time, the brothers listened to advice about The Ramsey Lewis Trio. 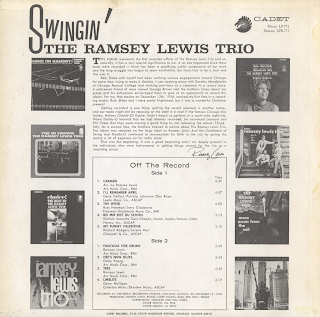 The album was released on the Argo label as Ramsey Lewis And His Gentlemen Of Swing and Daddy-O continued to demonstrate his faith in the trio by giving the record a lot of exposure on his radio show. 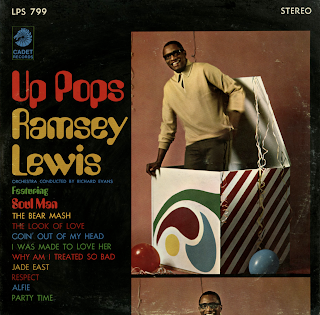 Soul Man and The Look Of Love arranged by Ramsey Lewis and orchestrated by Richard Evans. All other arranged and orchestrated by Richard Evans. From the back cover: The place is The Spectrum... the time is 8:00 PM... seating capacity is 18,000... this is to be the opening event at this $15 million Philadelphia concert hall/sports arena. The concert is due to start in less than half an hour and workmen are just installing the last speaker, while others are still bolting down plush, red theatre-type seats. Those given the honor to be the first performers in this unbelievable building will include Cannonball Adderley, Hugh Masakela, Mongo Santamaria, Jimmy Smith, Sonny Stitt, Dionne Warwick, Flip Wilson... and Ramsey Lewis. Now the people start to filter in; can a jazz concert draw 18,000 people indoors? The largest crowd in Philadelphia history has been 12,000 at Convention Hall, and at the Academy of Music, most promoters would be happy to sell out two shows, with total attendance under 6,000. The promoters of this "Quaker City Jazz Festival" are all smiles... no long faces... no one who is going to "cop-out" when the last act performs. This show is a sellout. As the 18,000 continue to pour in, the show hits and the new revolving stage surprises the audience... and away we go. As the MC of this affair, I remained backstage awaiting the arrival of the various groups. From a distance you'd believe the guards had allowed some youngsters backstage but as they approach, it's Ramsey's trio, always on time, always ready to take care of business. "What's happening'" is the usual greeting up and down the halls... "how's the sound?"... "when do we go on?" From the back cover: Petula was born Petula Sally Owen in Epson, England. At the age of seven, she took her nickname, Pet. Two years later, with the beginning of the Second World War, Pet starred on the B.B.C., singing and reciting poems for the families of British soldiers. Her first appearance on the B.B.C. gave birth to her career, and she soon became a regular on the network, making over 500 appearances by the time she was twelve. When she turned 12, Pet signed with a film contract, and has since starred in over 25 films with such stars as Kay Kendall ("London Town"), Peter Ustinov ("Visa-Versa"), and Alec Guiness ("The Card"). But Pet has always placed her cinema career second, and concentrated on her recording career. 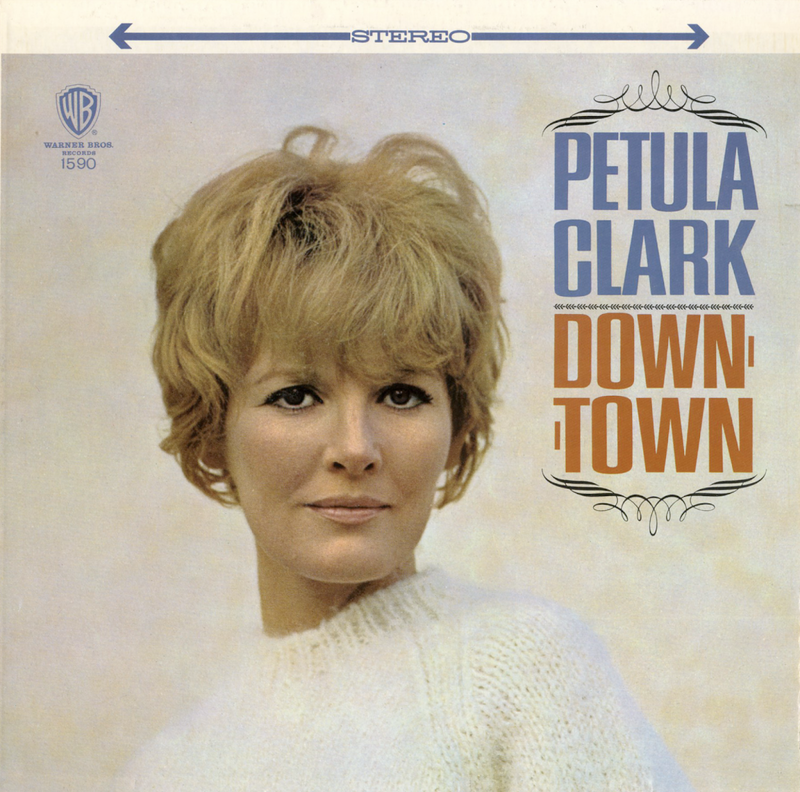 Petula recorded her first single at the age of seventeen, and it began the long list of hits that now requires her to cut a schedule of 20 singles per year. While still in her teens, Pet began her wide travels as an artist, first into Holland, then farther into the Continent, starring on radio, television, and making numerous personal appearances. Despite the language barrier, she became famous throughout Europe. Following her first English hit record, "Gondolier." Pet's French record company, Vogue, requested that she perform the same song in French for Gallic release. Pet set new marks in the record business as the first vocalist to have a bi-lingual hit. With her success racing ahead of her knowledge of languages, Pet was beset with problems. At her first major public appearance in France at The Alhambra Theatre, Pet had to read her halting French off notes she had written in the palm of her hand. She immediately began studying French in earnest. Her studies paid off as Pet became a favorite of the French. In 1960, Pet starred at "The Palace" of France, The Olympia Theatre in Paris. 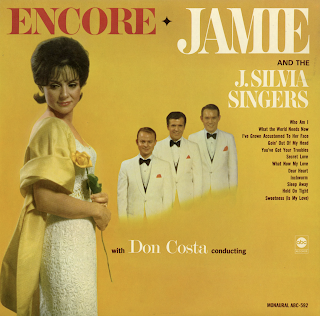 By then, her program of songs could by composed entirely of her hit singles. Her triumph was complete. In 1962, Pet and her husband welcomed the birth of her first child, a daughter with the bi-lingual name, Barbara-Michele (Pet has since given birth to a second daughter, Catherine). Pet's husband is French, and Petula maintains residence now in Paris, having become completely bi-national. With the arrival of Le Twist in France, Pet became the darling of the French once more with her single "Ya Ya Twist," and celebrated by not only becoming a leader of the rock-and-roll set in France but also by receiving the Grande Prix National de Disque Francais. 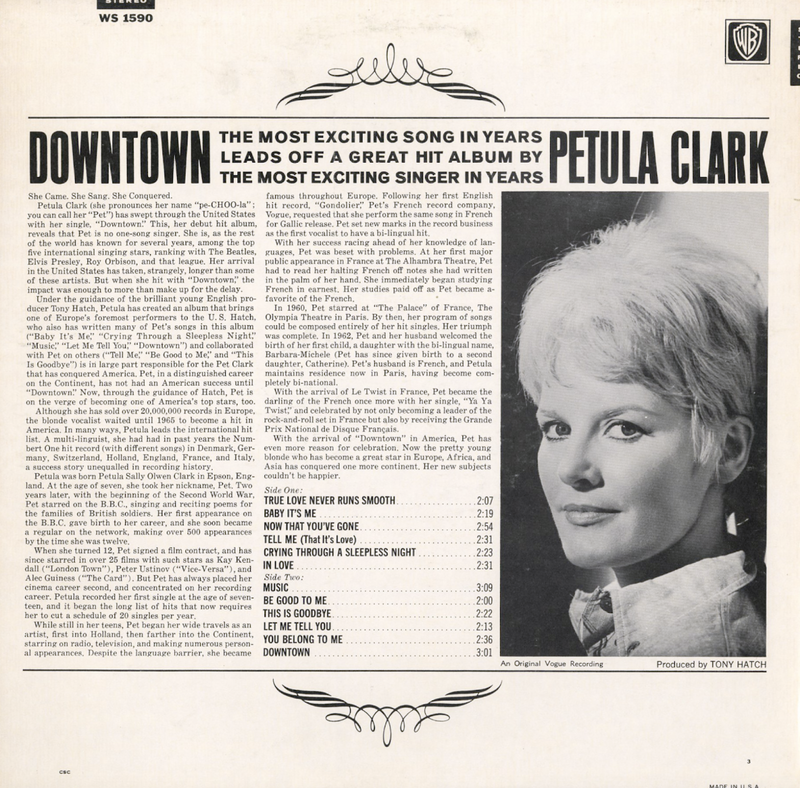 From Billboard - February 13, 1965: "Pet" Clark enjoys the distinction of being the first of the British recording gals to hit the number one position on BB's chart. This album will project the star even further. The songs, mainly producer Tony Hatch's originals, are excellent. Pet sings them all with the vibrance and feeling expected of a rising young star. Available from online vendors, so I will not be posting a sample. Presented here to share the cover art and jacket notes excerpt. 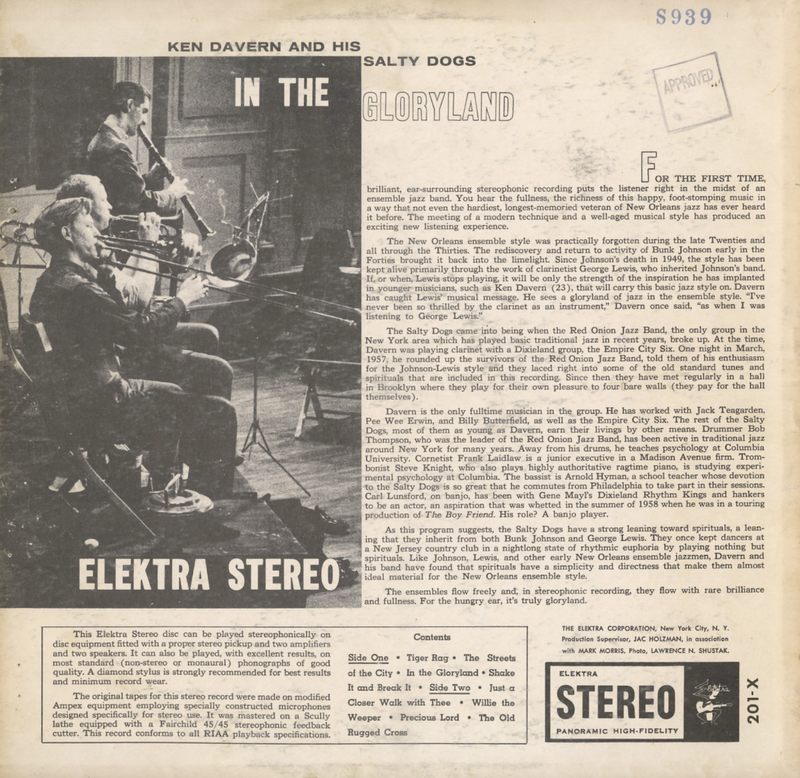 From the back cover: The Salty Dogs came into being with the Red Onion Jazz Band, the only group in the New York area which has played basic traditional jazz in recent years, broke up. 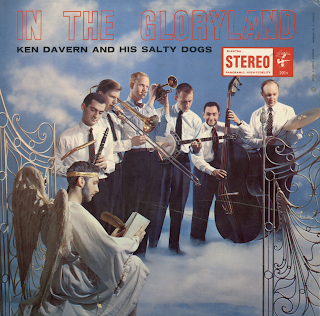 At the time, Davern was playing clarinet with a Dixieland group, the Empire City Six. 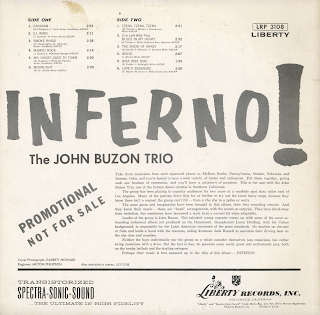 One night in March, 1957, he rounded up the survivors of the Red Onion Jazz Band, told them of this enthusiasm for the Johnson-Lewis style and they laced right into some of the old standard tunes and spirituals that are included in this recording. Since then they have met regularly in a hall in Brooklyn where they play for their own pleasure to four bare walls (they pay for the hall themselves). Davern is the only full-time musician in the group. He has worked with Jack Teagarden, Pee Wee Erwin, and Billy Butterfield, as well as the Empire City Six. The rest of the Salty Dogs, most of them as young as Davern, earn their living by other means. Drummer Bob Thompson, who was the leader of the Red Onions Jazz Band, has been active in traditional jazz around New York for many years. Away from his drums, he teaches psychology at Columbia University. Cornetist Frank Laidlaw is a junior executive in a Madison Avenue firm. Trombonist Steve Knight, who also plays highly authoritative ragtime piano, is studying experimental psychology at Columbia. The bassist is Arnold Hyman, a school teacher whose devotion to the Salty Dogs is so great that he commutes from Philadelphia to take part in their sessions. Carl Lunsford, on banjo, has been with Gene Mayl's Dixieland Rhythm Kings and hankers to be an actor, an aspiration that was whetted in the summer of 1958 when he was in a touring production of The Boy Friend. His role? A banjo player. As this program suggests, the Salty Dogs have a strong leaning toward spirituals, a leaning that they inherit from both Bunk Johnson and George Lewis. They once kept dancers at a New Jersey country club in a nightlong state of rhythms euphoria by playing nothing but spirituals. Like Johnson, Lewis, and other early New Orleans ensemble jazzman, Davern and his band have found that spirituals have a simplicity and directness that make them almost ideal material for the New Orleans ensemble style. 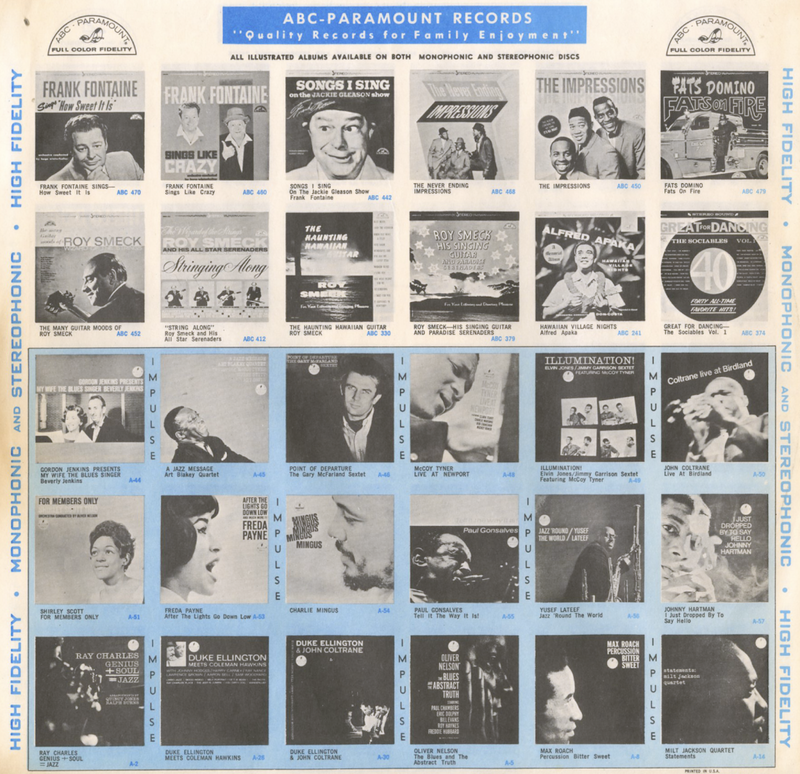 From Billboard - June 9, 1958: Elektra Records has announced a new package release containing three stereo disks at $5.95, a stereo sampler at $2.98 and three monaural LP's at $4.98. 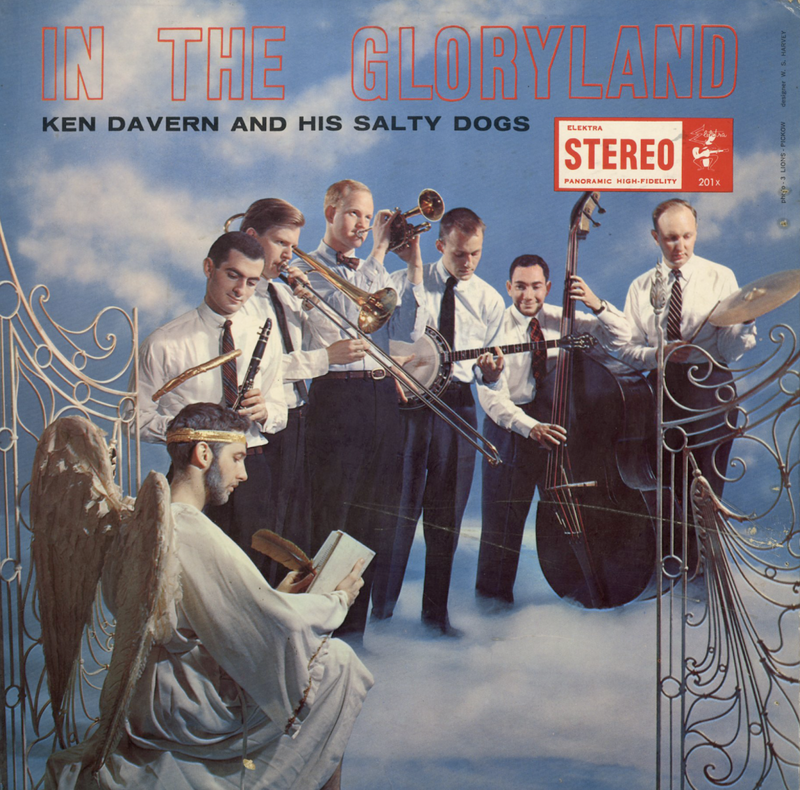 In addition to the sampler, previously announced, the stereo release includes "In The Glory Land," containing traditional jazz by Ken Davern and His Salty Dogs; "The New York Jazz Quartet Goes Native," with Mat Mathews, Herbie Mann, Joe Puma and Whitey Mitchell, and "The Original Trinidad Steel Band in Stereo." 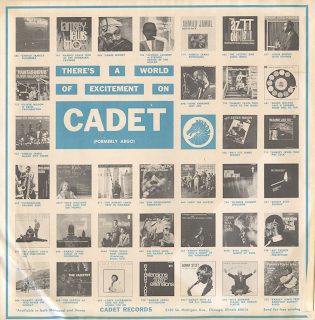 A Product Of Am-Par Corp.
From the back cover: Six of the songs in this album feature an orchestra which includes seventeen strings, and six were recorded with a big, swingin' band. 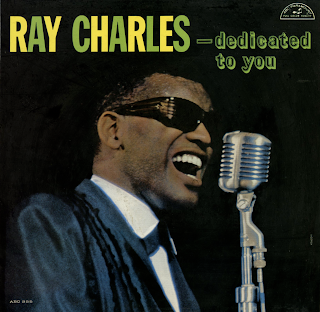 One instrumental is included (Josephine), spotlighting Ray Charles' solo piano. All arrangements, supervised by Ray Charles are by the West Coast's outstanding arranger, Marty Paich, whose list of credits include the elite of the music world. Tenor solos are y David "Fathead" Newman. 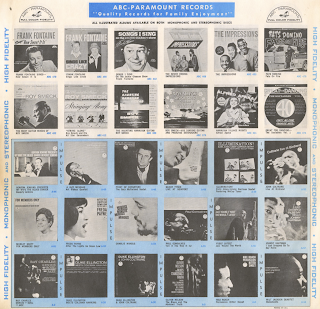 Produced by Sid Feller, ABC-Paramount's director of artists & repertoire, al recording sessions were held at United Studios in Hollywood.